I was taught when I was young that we drink the same water today that the dinosaurs drank when they were alive, is that true? Water is recycled through the water cycle. It evaporates from the oceans, forms clouds, it rains (or snows), the rivers return the water to the ocean. The longest timescale of water anywhere in the cycle is in the deep ocean (it stays there for several thousand years) and in deep ground water (perhaps 10,000 years). However, water is very slowly destroyed chemically in photosynthesis (plants converting carbon dioxide and water to sugars and oxygen) and recovered again in respiration (basically the reverse of photosynthesis to make energy and CO2). You can calculate how much water remains from the dinosaur age from the total amount of water on the planet and the amount of water taken up in photosynthesis per year. The Earth's plants take up about 12,000 billion kg of water per year (we know that roughly from the CO2 they take up). 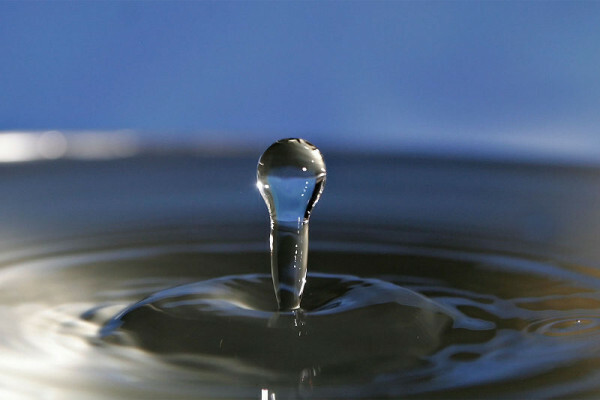 The total water on Earth is about 1400 billion billion kg. So within about 100 million years most of the water will have been chemically destroyed. Dinosaurs lived 65 million years ago. So, SOME of the water we drink is the same water, but more than half is different water. Previous What's happening when your stomach rumbles? Next How do dogs detect human seizures before they occur?